Bouting is a critical part of a complete and well-balanced training program but just like footwork, bladework, lessons, and drills, bouting requires an intentional and diversified approach to yield maximal results. The first big thing to mention is that trying to win every bout at practice and caring too much about practice bout results is a major reason why a lot of people get stuck at a certain level. I had this problem during my freshmen year of college. My ego and pride drove me at practice to try to win every single bout against my teammates. As a result, I wasn’t spending time working on new moves, putting myself into uncomfortable situations and honing new skills. The result, I got pretty good at winning practice bouts because I knew my teammates’ weaknesses and could pick them apart, but then, who cares if you win at practice if you are losing at tournaments? I had to really look at my goals and realize that winning bouts at tournaments was vastly more important than winning bouts at practice and I had to reshape how I trained. I’m not saying you should NEVER try to win bouts at practice but winning isn't the only thing. Bouting time is also about doing your research and experimenting with your game. This is the most obvious type of bouting, one I’m sure you’ve all practiced. If this is your goal, make sure to put forth your maximum effort to mimic the competition environment of an actual tournament. 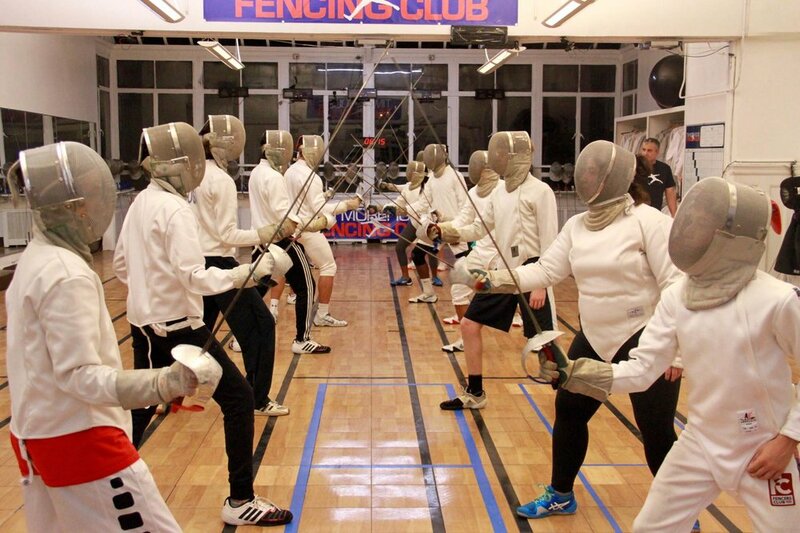 When I started fencing at the NY Fencers Club, the practice bouts were always extremely intense. Sometimes new people at practice would get upset and say “Hey its practice!” Those were usually the guys or gals who couldn’t take the intensity at tournaments either. One way to add intensity to your practice bouts is to add stakes. Start a pool with your teammates where everyone buys the winner a Gatorade or put something small on the line. In this type of bout, you’ve agreed with your partner that they are going to fence in a certain way to allow you time to practice against a certain style. It is up to you to figure out how to “solve” this opponent’s style. The key thing to remember here is that there is more than one approach to conquering an opponent. Have your opponent defending 90% of time and only attacking 10% of the time. Note: your opponent can constantly make moves in the middle and/or your opponent can pull out of the box and force you to make long attacks 90% of the time. Practice is the right time to try out things you might not normally feel comfortable doing (yet) at a competition. You can focus on just attacking or just defending, on being very aggressive and/or being more passive and letting the game come to you. Starting each bout by declaring a focus can be very helpful. If you’ve read our article on “Designing Winning Fencing Moves” then you know that at some point putting your moves to the test in a practice bouting situation is essential before giving it the ultimate test in competition. In a bout where you try new moves, you shouldn’t do the same move over and over again. Rather, you should mix them in with your established moves. Ask yourself, does this new move make my other moves more effective? Less Effective? Etc. You should also try your move against a variety of opponents at different levels to see how it does. See if you can find trends for the type of opponent/level it works against. Fencing with a big/small lead that you have to hold. i.e. You are up 13-10. Bring yourself to the end of your strip and get comfortable fencing almost off the end of the piste. This type of bouting could also fall under the situation category, but I think it bears special mention. Often times the difference between winning and losing comes down to 1 point. The score is 4-4 or 14-14 and you’ve got to pull it out. There are some people who have mastered the art of scoring that last point and like anything, you need to get comfortable in that situation. When I first started going to International training camps, I didn’t want to get embarrassed by the international fencers so I’d fence them hard and show my entire game. If you’re scouting a fencer, it usually involves trying to see as much of their game as possible without showing too much of your own. As I developed, I realized how important it was for me to try to gain as much information as I could from my opponents without giving away my main tendencies. So, with new opponents, I’d always watch when moves that worked and then I’d stop doing them. I remember vividly how Christian Bauer would have his fencers fence us at training camps. You could tell they were fencing us under certain rules. They would rarely do a move in the center so we couldn’t find their middle game or timing there and they would always pull us down the entire strip when they were on defense so they could get as good a look at us as possible on the attack. When they were attacking they had a pretty clear rule to NOT FINISH. That’s right, they would push us down the strip just out of range and try to get a really good look at our defense and how we would respond. If we counter-attacked, they would step back or parry. Basically, they would try to make their attack last as long as possible so we’d either have to try to “take over” or do something desperate. When I’m getting ready to compete, the way I warm is really important. Generally speaking I’m looking to break a sweat and I’m looking to “try out” different parts of my game. Similar to a pilot going through a check of all parts of the engine. I’m doing long attacks, long defenses, fencing in the middle, going fast, going slow. Etc. I’ll usually finish it out by fencing a variety of opponents at 100% to ensure my engine is ready when I hit the pool or first DE bout. How Many Bouts Should I Fence at Practice? Finally, it takes winning 6 bouts to win a tournament if you start in the round of 64 and a tournament bout is much more taxing than a practice. When I was training, we generally tried to fence 8-10 bouts to 15 during our bouting time. Remember, every extra bout adds up over the season.